I love having BIG SUNDAY's! We all know that Sunday's are a BIG DEAL and we want to make sure our kids won't forget a single one. We've had Jersey Sunday, Hawaiian Sunday, Super Bowl Sunday and more. But it hit me one day. 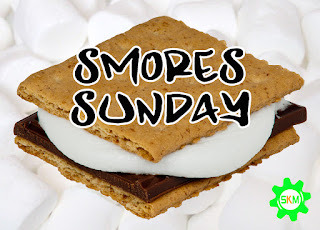 Why not make SMORES on a Sunday??? My wife was not a BIG FAN of it. But hey! It's only once a year. So.... how did it turn out? How did you make them? Where did you get the fire? Well, the answers you are looking for are below with a shopping list. We had our leaders place the marshmallow over the sterno. We didn't want a kid to catch their marshmallow on fire and then flick it on someone. Try this and let me know what you think! 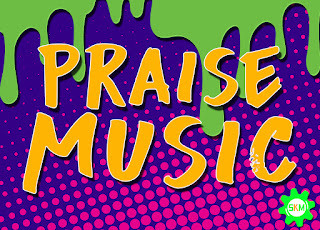 I don't know if you are like me when it comes to PRAISE SONGS for kids church. I'm one that loves music that is crazy, fun, exciting and of course songs that PRAISE our Heavenly Father. It's tough to find cool songs. Songs that are not BABYISH (if that's a word). Below I have listed some songs that we sing in my kids church. I hope you enjoy them. If you have any others that I might LOOOOVVEEEEE, let me know.